This character seaside cottage is one of five terraced cottages standing on their own on a hillside overlooking both the sea and woodland. 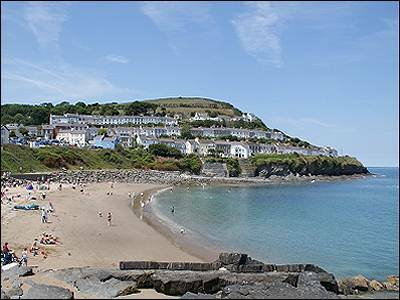 New Quay is one of the prettiest sea ports on Cardigan Bay, climbing in terraces from splendid sands and a tiny harbour to a background of wooded hills overlooking this fine Bay. 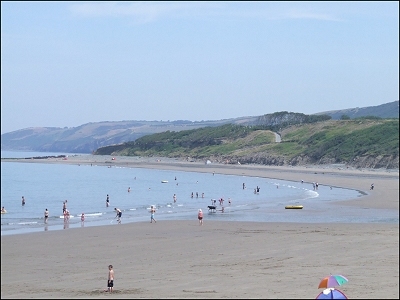 Only a few minutes walk into New Quay and the beaches. 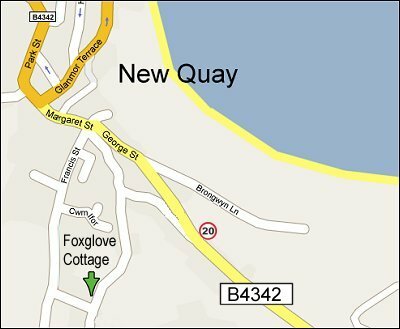 New Quay Head rises to 300 feet over the harbour and gives glorious views. One medium sized or two small dogs welcomed. 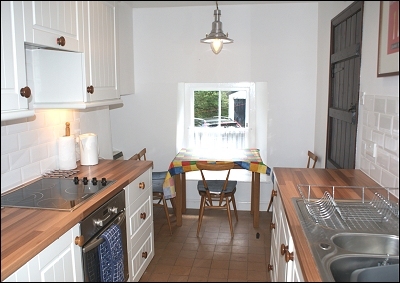 ACCOMMODATION - The kitchen has an under-counter fridge, washing machine, microwave and the usual small appliances, cutlery, glasses, crockery, cooking utensils and cookware. 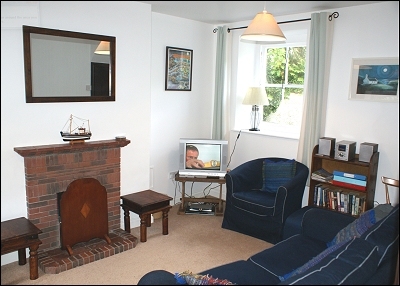 The comfortable lounge has TV and DVD player and stereo with sofa and armchairs seating five. 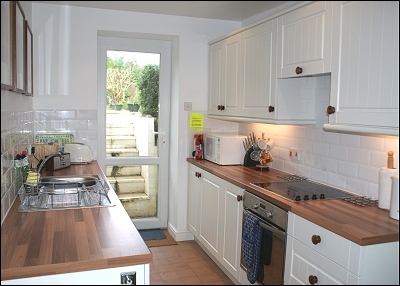 The well equipped kitchen has a double glazed door opening to steps leading up to the patio and a sunny garden with garden furniture. Upstairs there are three bedrooms . There is a double bedroom, a second bedroom with one single plus a full size pull-out single bed which can be arranged as a double or two singles. There is a third bedroom with a single bed. The upstairs bathroom has bath with electric shower over, WC, wash basin and heated towel rail. Long associated with Dylan Thomas who is said to have based "Under Milk Wood" from his experiences of living in New Quay. The town is also also famous for numerous dolphin and whale sightings in the harbour and along the coastline. 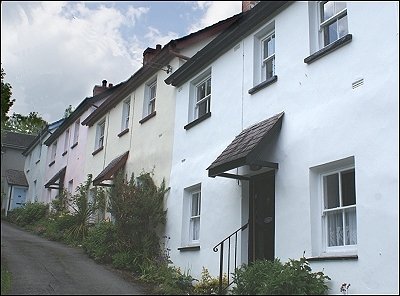 Recently "The Edge of Love " about Dylan Thomas, starring Keira Knightley was filmed in the town. The sea with several sandy beaches is ten minutes walk away, with shops much less. 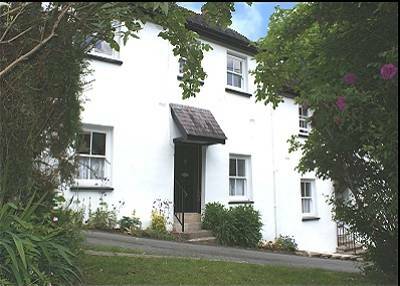 Sleeping up to five as well as a baby in a travel cot (provided) , the cottage has been fully modernised whilst retaining its traditional character. 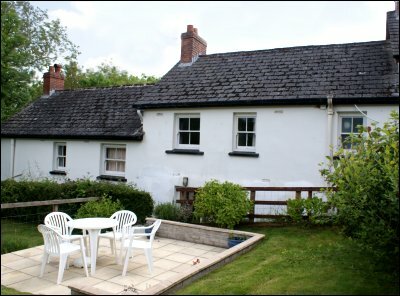 PARKING - Private off-road parking for one car is available opposite the cottage. 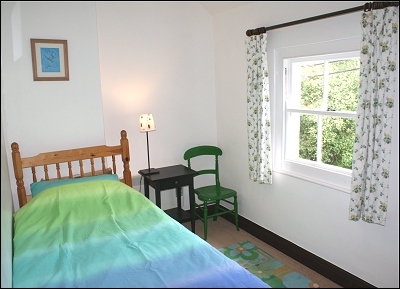 BED LINEN - The property is not equipped with bed linen, towels or tea towels, but bed linen can be supplied by a local company for £10 per room. Contact information for this will be supplied with the letter of receipt for the final payment. SHORT BREAKS Short breaks available low season or last minute - 3 nights at 60% of the weekly price, 4 nights at 70%, 5 nights at 80%. PETS - One medium sized or two small dogs welcomed. However, guests should bring their own pet bedding and not allow their pets on the furniture or upstairs. ACCESS - There is level off road private parking opposite the cottage for 1 car. There are four steps up into the house. Good lighting and access throughout. The bedrooms and bathroom are all upstairs. There are no specific adaptations for disabled use. There are steps in the back leading to the fully fenced garden where young children must be supervised at all times. Geoff and Chris: had a lovely week here, sure to be back again. 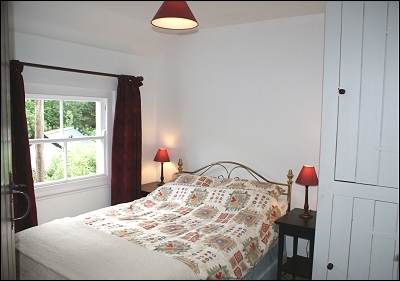 Jenny, Steve , Janet, Alan and Rhona : Cosy , comfy , clean, Great value for money A little bit of heaven on Earth. David and Margaret M: Very cosy clean and comfortable. Online - add date and click 'Buy now' to make a £50 part payment deposit to secure your holiday. You can pay this by PayPal or card. The balance will be due 6 weeks before te holiday.